Summer is really taking its toll in the Philippines now. It’s always so hot, that means we are also prone in having dry chapped lips. We all hate chapped lips, right? It ruins our lips + it hurts a lot! Good thing there’s Carmex Lip Balms! Carnex Philippines send me four Carmex Lip Balms, I’ve got the original flavour in stick, in a jar, and in a tube 🙂 They also send me the strawberry flavour in stick! They’re so generous! The original flavor has this minty scent, so refreshing! The strawberry flavor smells like strawberry of course, I love it! 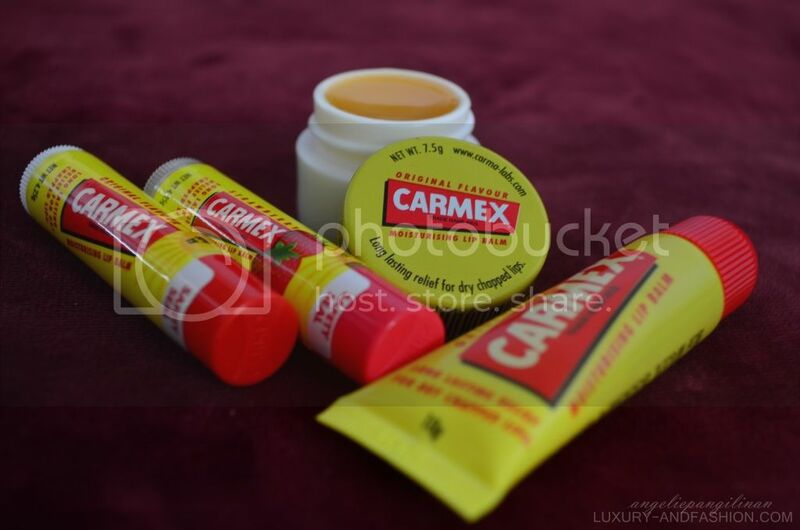 Get your own Carmex Lip Balm now, protect your lips, say bye-bye to chapped lips!